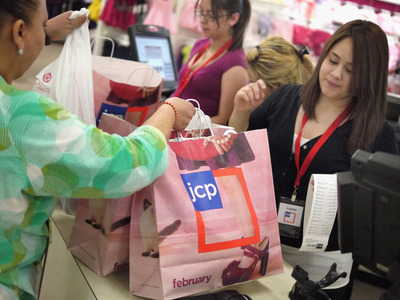 Business Insider/Mary HanburyExperts say JCPenney’s new CEO has her work cut out for her. JCPenney has hired a new CEO, Jill Soltau. This the first female CEO the company has had, and at least one analyst says that’s cause for celebration. 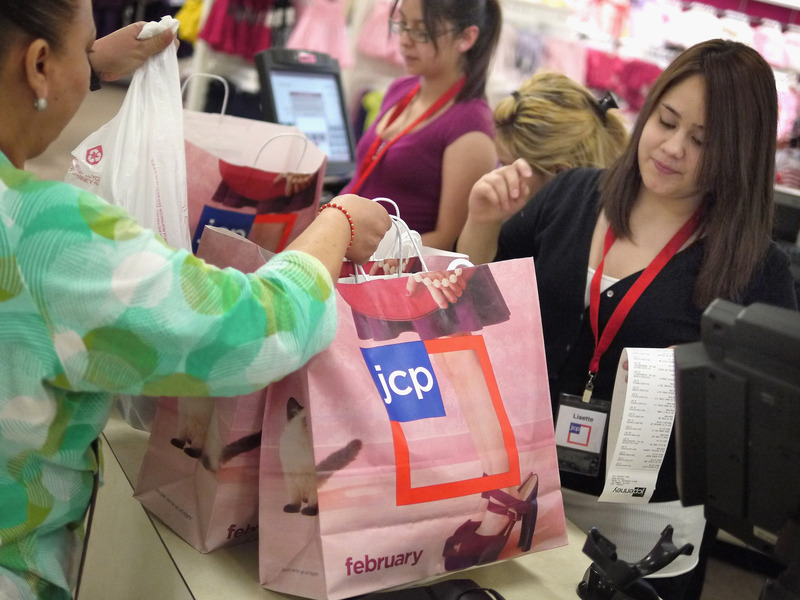 JCPenney has been accused of alienating its core customer, the middle-aged mother, in recent years. The hope now is that Soltau will win back this customer by creating a more targeted shopping experience. JCPenney just appointed a female CEO, and at least one analyst says that’s cause for celebration. Jill Soltau, who was formerly CEO of craft and textile retailer Joann Stores, will be taking the position effective October 15. JCPenney’s stock rallied more than 10% on the news, as investors were likely relieved to hear that the position had been filled after several months of uncertainty. However, this boost in confidence could also be tied to the fact that for the first time ever, JCPenney has a woman at the helm. “In our view, putting an experienced female executive in the top role is a sensible move. 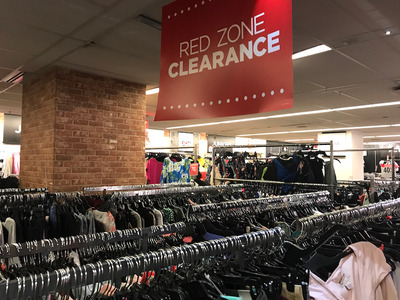 One of JCPenney’s central problems has been its inability to connect with women shoppers, especially in terms of fashion,” Neil Saunders, managing director of GlobalData Retail, wrote in a note to clients on Tuesday afternoon. In recent years, JCPenney has been accused of failing to serve its core customer, the middle-aged mother, in its bid to win over younger shoppers. Both experts and its own executives blame this for its current woes. In a statement to the press on Tuesday, Soltau made it clear that the value-conscious female shopper is going to be front and center in her mind. “I am highly passionate about the customer and I spent my entire career focused on the needs of a value-based consumer by researching, understanding and meeting her expectations for style, quality and inspiration,” she said. The confusion in JCPenney’s shopping experience over the past few years could be partly attributed to its frequent CEO turnover, experts say. Each one had different visions for the company and for the type of customer that it should be targeting. Ron Johnson, who was CEO between 2011 and 2013, had arguably the most extreme impact on the business. After his tenure was over, JCPenney was left drowning in debt and reported a $US1.42 billion operating loss in 2013. Johnson tried to make the store more upmarket but ended up alienating its value-conscious customers in the process. Marvin Ellison, who took the reins in 2015 after a period in which Mike Ullman was brought back as interim CEO, has been widely credited with trimming down its massive debt load. However, some experts say he didn’t do enough to bring back the core customer and clearly define the shopping experience for them. “He never did the work to really understand and commit to a customer,” Kathy Gersch, executive vice president of the consultancy firm Kotter, told Business Insider. Gersch believes that Soltau’s top priority should be just this. “She needs to really understand who the customer is, what they want from JCPenney, and how it goes about taking what they have and creating something unique for that customer,” she said. But many are hoping that Soltau will have an advantage over her predecessors. “We believe Ms. Soltau will have a far more intuitive understanding of the changes that need to be made than many of those who held the role before her. This, along with her deep experience of retail – especially in terms of merchandising – will prove invaluable in turning the retailer around,” Saunders said.